First time on the market! Beautifully maintained craftsman home w vaulted ceilings, bamboo wood floors in main living areas & bedrooms, gorgeous kitchen w/granite counter, newer cabinetry, gorgeous travertine backsplash & upgraded appliances. Energy efficient dual pane windows and owned solar! Enjoy the .65 acre cul-de-sac lot w fruit trees & raised garden beds, drought tolerant landscape & room for kids to play or addition of a pool. 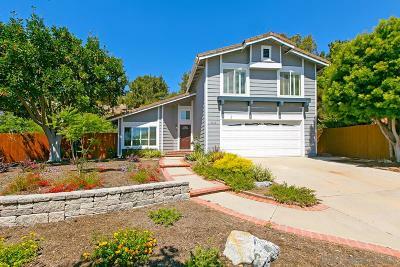 No HOA or Mello Roos!, Highly sought after PUSD w/Adobe Bluffs Elem, Black Mtn MS, Westview or Mt Carmel HS. Walking distance to schools & parks and close to shopping, freeways.